The Risbaras and the Michauds say they can build the mixed-use village center town leaders want, but they'll need as much as $80 million to make it happen. SCARBOROUGH — The Risbara and Michaud brothers are successful local businessmen and longtime friends who grew up in town and raised families here. Scarborough Downs is a failing harness-racing venue that more than a dozen would-be developers, most from out of town, have failed to rescue or reinvent in recent years. So when the brothers purchased the Downs this year for $6.7 million and promised to redevelop the 479-acre parcel into the mixed-use village center sought by town leaders, you might have expected an outpouring of support for the local guys. That wasn’t likely in Scarborough, an affluent but politically divided seaside town that has trouble passing a school budget every year. It was even less likely because the Downs is one of the most high-profile properties in southern Maine, stretching nearly 2 miles at its widest point, from Route 1 to Exit 42 of the Maine Turnpike. The dilapidated grandstand at the 68-year-old Scarborough Downs as seen on Sept. 20. Local brothers aim to develop the property into a mixed-use village center. 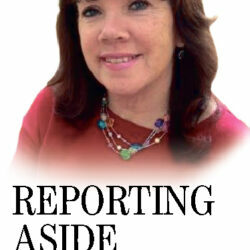 The public response has been limited and noticeably negative, especially at recent town forums where the brothers and municipal officials have been pitching a proposal dubbed “The Town & The Downs: Partnership for a Community Vision.” When the brothers asked for a 30-year tax break that could top $80 million – to cover the cost of putting in roads, sewerage lines and other infrastructure needed to create a village center – a local taxpayers’ group started calling for a town referendum because its members are concerned about growth, taxes, traffic and other issues. 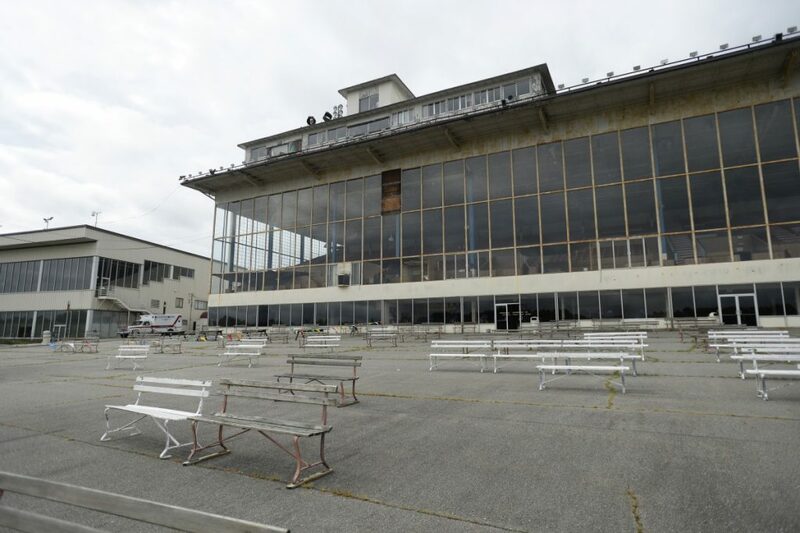 Nina McKee, a longtime resident who said she’s “dead against” redeveloping the Downs, eagerly shared her opposition at a forum held in the dilapidated grandstand at the 68-year-old racetrack. With or without a tax break, this part of “good old Maine” is destined to change. 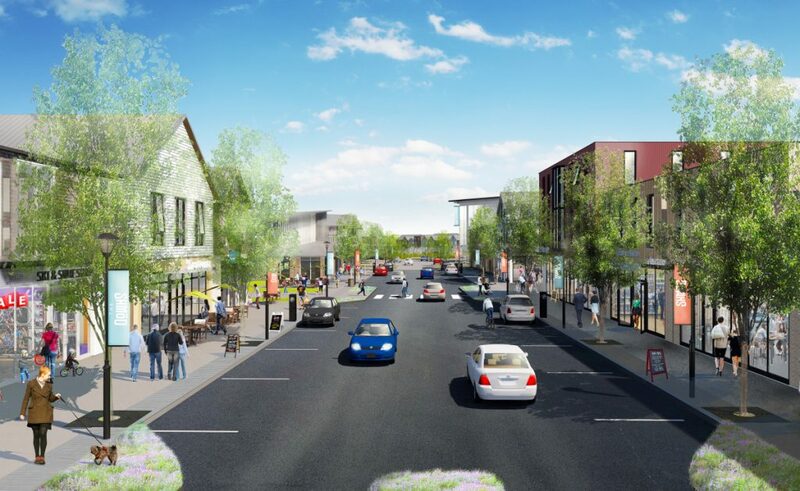 M&R Holdings – Peter and Richard Michaud, and William, Marc and Rocco Risbara III – bought the Downs in January, and they intend to develop it as allowed under town zoning regulations. 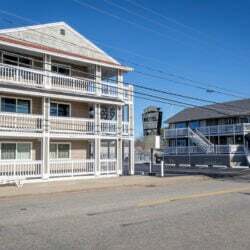 The first phase of the project – including four 12-unit apartment buildings, 16 single-level duplexes and four 8-unit garden-style condominium buildings between Route 1 and the racetrack – is up for final Planning Board review Tuesday. Last week they submitted a master plan for a 130-acre development area off Payne Road for retail, commercial and light-industrial uses. The brothers say it’s up to the Town Council to decide whether they develop a village center as outlined in the town’s 2006 comprehensive plan, or build much-needed space for light industry, manufacturing, research and technology that would help create 2,500 to 3,100 new jobs. Rocco “Roccy” Risbara III, the group’s pitchman, is undaunted by opposition that he views as a vocal minority. He has faced community opposition to projects built by his family’s construction company in the past, including the controversial Blue Spruce Farm housing development in Westbrook. “I’ve stood in front of a firing squad before,” said Risbara, 55. 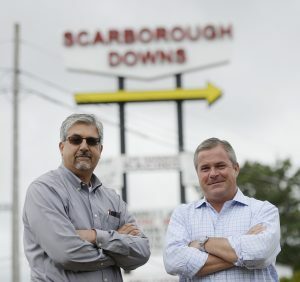 Rocco Risbara, Peter Michaud and their brothers have big plans for Scarborough Downs. All four grew up in town in families that owned local businesses. Risbara says opposition to their project is from a vocal minority. Risbara Bros. is a 50-year-old Scarborough company with 40 employees specializing in residential and light commercial construction and earthwork. The Michauds formerly owned Michaud Distributors, a Northeast regional snack sales company that the family sold in 2015. Five years ago the Michauds bought into Maine Properties, a real estate company the Risbaras started in 1980. It owns and/or manages 1,100 apartments and 2,400 condominiums in Greater Portland and employs 50 people. The Risbara and Michaud partnership is rooted in a work ethic passed down by their parents and friendships forged when the brothers were teenagers. Like most kids growing up in Scarborough, the Risbara and Michaud brothers hung out at the beach a lot. They still socialize regularly, attending each other’s family celebrations, going on hunting trips to camps up north and spending time together at vacation homes in Marco Island, Florida. 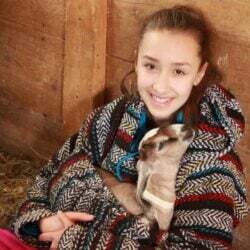 But while other teens played sports or worked at the local supermarket, the Risbara and Michaud brothers helped out in the family businesses. Richard Michaud Sr. started his snack delivery company in 1980 out of the family’s garage on Highland Avenue. 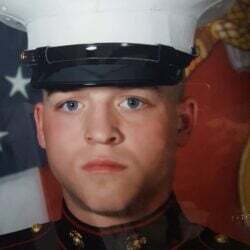 His eldest son, Richard “Dickie” Michaud Jr., 55, helped to grow the company early on, while he was a student at Scarborough High School. “He’d load trucks in the morning, drive a delivery truck to school and make deliveries after school got out,” said Peter Michaud, 49. At its peak, Michaud Distributors had 128 trucks delivering chips, pretzels and peanuts across the Northeast. Marcia and Rocco Risbara II started their home construction company in 1968. Since then the Risbara family has produced about 14 percent of the housing units in Scarborough, Roccy Risbara said. Whether Risbara Bros. does good work depends on whom you ask. 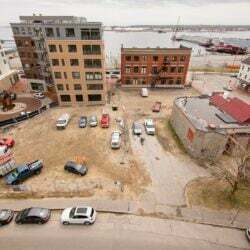 Flynn Ross was one of several Westbrook residents who railed against the Blue Spruce Farm development – a complex of 250 apartments and 56 single-family homes that Risbara developed on Spring Street in 2015. It was supposed to be larger, but neighbors complained about the appearance, density and traffic created by the first phase. “We got changes to phase 2, and they dropped phase 3,” Ross said. Mike Foley, a former Westbrook city councilor who owns a single-family home in Blue Spruce Farm, has a more positive view of the development and Risbara Bros. 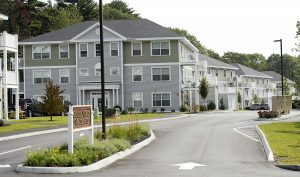 The apartments at Blue Spruce Farm are fully leased, as are 84 units at Carrier Woods Apartments that Risbara recently completed on Mussey Road in Scarborough, Risbara said. The seven buildings, with 12 units each, are similar to the apartment buildings Risbara plans to build at the Downs. “They built what was approved at Carrier Woods,” said Jamel Torres, Scarborough’s assistant town planner. If the Planning Board approves the subdivision and site plans for the first phase of the Downs residential development Tuesday, construction will start immediately, Risbara said. The brothers did a market study that showed demand for workforce housing among people 30 and younger and 55 and older. Condos will be priced at $225,000 to $350,000. Eighty apartments will be market rate, and four will be priced to be affordable for a family of four with a yearly income that’s 80 percent of the median household income in Greater Portland, which was $68,570 in 2017, according to the U.S. Census. On paper, the brothers have met the town’s goals for the Downs. 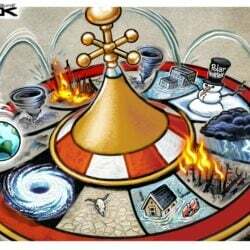 As the racetrack struggled and one potential sale after another fell through, town officials started planning for the day when it closed. The brothers have promised to support horse racing at the Downs through 2019, but they say it’s clear that it’s no longer a viable enterprise. Attendance has fallen from a record high of 9,133 people on June 29, 1980, to a few hundred people at the track on a good day this season. The decaying horse barns were torn down this summer, so horses must be housed elsewhere and hauled to the track daily. “At some point, we’ve got to fish or cut bait,” Peter Michaud said. The 2006 comprehensive plan envisioned a “new heart of Scarborough,” unlike the drive-by commercial clusters that exist along Route 1. It would be “a vibrant, mixed-use center for the community” that also “preserves significant open space and natural resources.” Zoning regulations followed in 2013. The brothers became interested in the Downs in March 2017, when they met with Thom Powers of Cohasset, Massachusetts, who was vetting the property’s redevelopment potential for a group of Boston investors. When Powers backed out that summer, the brothers started looking seriously at what they could do with the Downs. They hired Scarborough resident Jim Damicis, an economic development research expert, to do a thorough market analysis. 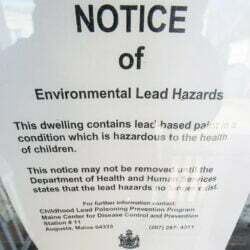 Then they hired the town’s former planning director, Dan Bacon, who left in April 2017 to become a senior project manager at Gorrill Palmer Engineering Consultants in South Portland. The brothers say they wanted Bacon on board because he knows the town and its zoning ordinances, is talented and has an impeccable reputation. Town officials say they can’t blame the developers for hiring Bacon because he boosted confidence in their plans for the Downs. “He is extremely qualified and has a universal reputation for integrity,” said William Donovan, Town Council chairman. The brothers say they want to develop a balanced mix of residential, commercial and light industrial projects centered on a downtown, which would be built where the racetrack and grandstand are located today. But the brothers say they need the town’s help to make it happen, in the form of a credit enhancement agreement that would – if they meet certain development goals – reimburse at least 40 percent of property taxes captured in a tax increment financing (TIF) district. The brothers would be reimbursed as much as $81 million in property taxes over 30 years, which would help pay for $150 million in project development costs if the town goes forward with the village-center concept. They say the tax break is necessary to offset the cost of building 8 miles of road and extending wastewater service from Route 1, across the parcel, to Payne Road. Additional credit agreements would be necessary if they built a proposed community center or 4-acre park in the downtown. Left to their own devices, without financial backing from the town or a commitment to develop a village center, the brothers figure they can develop $225 million in new assessed value within 20 years. That would generate $248 million in additional property and excise taxes over 30 years and cost the town an additional $132 million to provide additional public services. Without a tax break, the brothers say they will develop the property to meet market demands and as their own financing allows. That means redevelopment of the Downs would likely take longer and skew toward residential and commercial interests. Donovan said he and other town officials have negotiated “very vigorously” to maximize the value of future development at the Downs and minimize the impact on taxpayers. Donovan noted that the proposed credit agreement would cap the number of single-family homes at 750 among 1,986 housing units that would be built there over 20 years. With that limit, redevelopment of the Downs would add only 347 children to the 2,929 schoolchildren in town, and a total of 3,634 residents to a current estimated population of 20,023 – projections the town verified through an independent expert. Without the cap, the number of schoolchildren among the new residents would be much higher and cost more to educate, Donovan said. And staving off future growth isn’t likely. The town’s population has increased an average of 4,270 people every 20 years since 1940, according to town and Census data. The brothers and town officials plan to keep promoting “The Town & The Downs” at public forums in the coming weeks. The brothers are pushing the Town Council to decide on the TIF and the tax break by the end of October. Donovan said he wants to make sure the public is well informed and on board before the council votes, so he won’t rush the process. Either way, the brothers say, the Downs will be redeveloped.